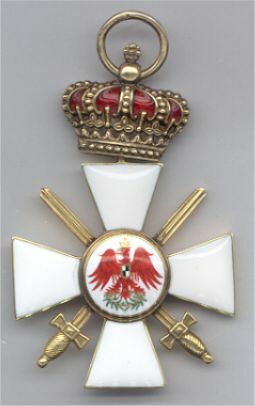 Due to the fact that there was no Iron Cross issued for the Colonial most Red Eagle Orders for war merit were awarded during this historical period. The I. World War on the other hand did bear the signature of the Iron Crosses and the Pour le Mérite's. 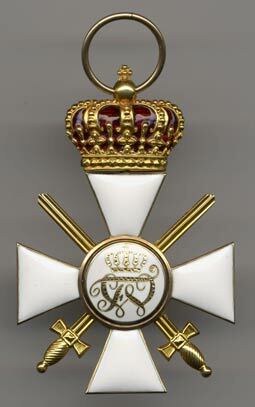 Manfred von Richthofen did receive the high order of the Pour le Mérite in the end of WWI. After continuing his career, he was suggested for the oak leaf to the Pour le Mérite. Since however the oak leaf was given only for won battles, which he didn’t achieved, he was “only” awarded with the Red Eagle Order with Crown and swords. This might help to understand, what value the so-called house orders did have during this period of time. 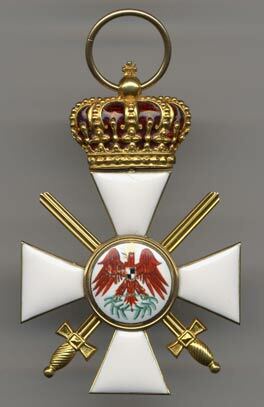 Please find following the picture of the Red Eagle order 3rd class with crown and swords worn on the medal bar of later Generalmajor Müller. 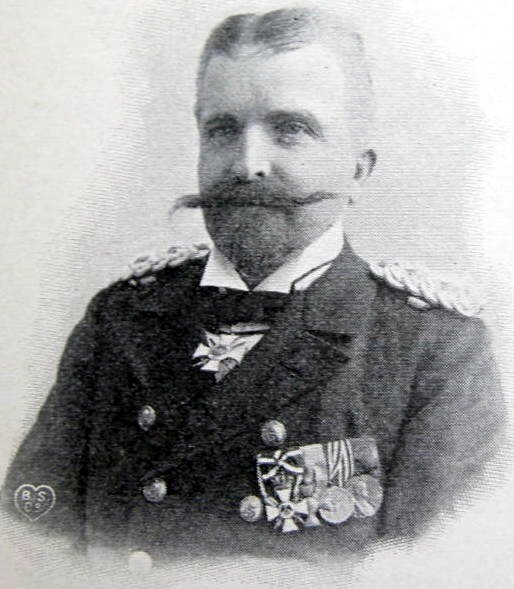 Born on September 7, 1850, he served in the “Schutztruppe” in Deutsch-Süd-West Afrika (German-South-West Africa) in between 1895 – 1898 and became commander of the “Schutztruppe” in Cameroon in 1903, were he served until 1908. 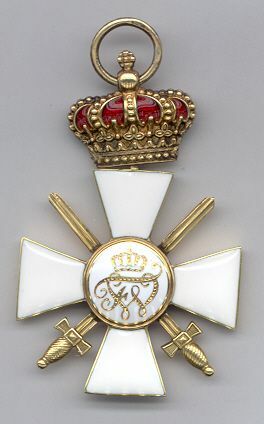 His medal bar decoration is made from gold with silver gilt crown. The piece shows the makers mark “G” for Godet in Berlin. 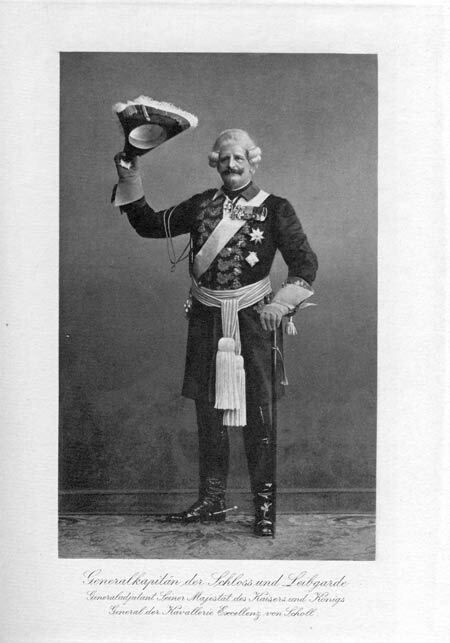 Godet was one of the fashionable jewelers during this time and did supply all kinds of military decorations. 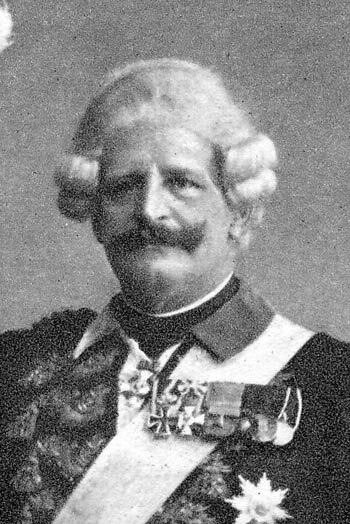 Godet was working for quite some time as court jeweler for the Prussian kings.